After a long break during Christmas and New Year holidays, I am finally back with fresh mind, new ideas and full of energy for 2014. If I have to be honest I am not a big fan of New Year eve, but I really enjoy Christmas holidays - with family, friends, a lot of eating :D and great spent time. But now the new year began and I am really excited about it. A whole new blank book waiting to be written by me. The 2013 was amazing for me and I hope 2014 will more and more full of new amazing and excited things connected with my education, blog of course, etc.! 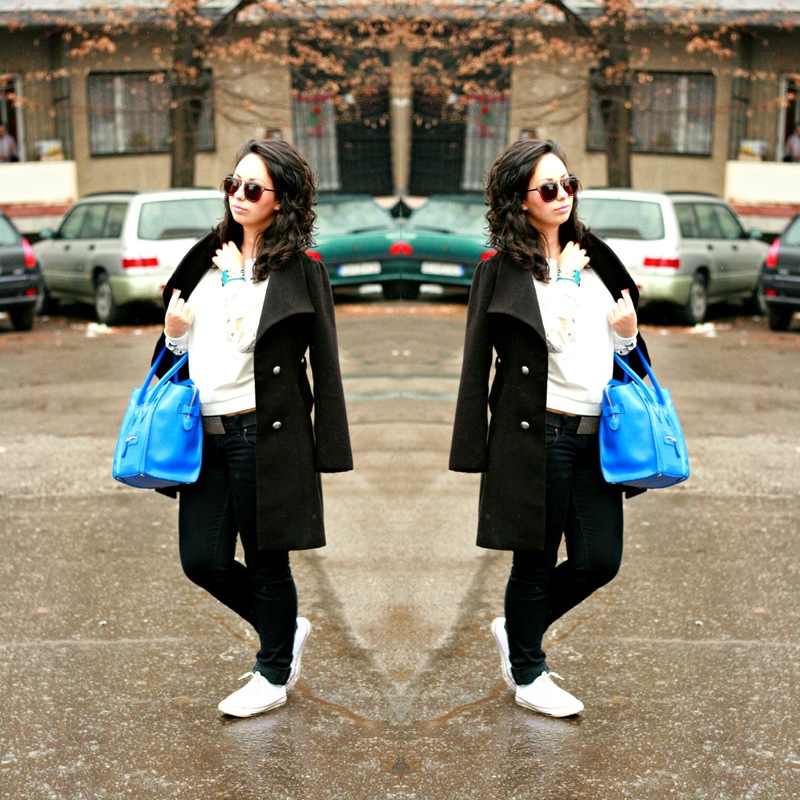 Actually today's outfit photos were made the last days of December, but I am totally forgot about these photos. So here they are! When I saw this sweater and knew that have to be mine - adore these sleeves. Do you like this combination? Wish you a great new 2014 year, my dear fans! Love the lace details of the sleeve! A simple Outfit, but it looks great. Special your Shirt!